Every gift is important. It shows you share Epworth Village’s vision to advance the interest and welfare of senior citizens. You share our goal to provide services and facilities especially designed to meet the physical, social and psychological needs of our residents. And by giving to the Good Samaritan Fund, you help qualified residents have a secure, satisfying, useful life in times of financial crisis. There are a variety of ways to support Epworth Village and its residents and help to provide retirement security for our seniors. All contributions are tax deductible. 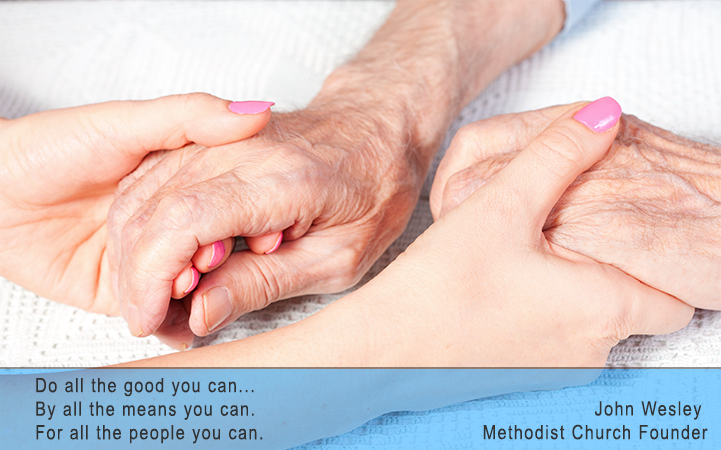 When you make a one-time, unrestricted donation, your gift is directed to where the need is greatest. A tribute gift can be made for any occasion where you want to recognize, honor or say thanks to a person or an organization. Or it may be made in memory or as a way to extend condolences. A gift to the Good Sam Fund helps our residents who are facing financial crisis. Click here to find out more. Establishing a living legacy to your values is one of life’s most fulfilling acts. When you remember Epworth Village in your will or other giving, you help continue our work far into the future.